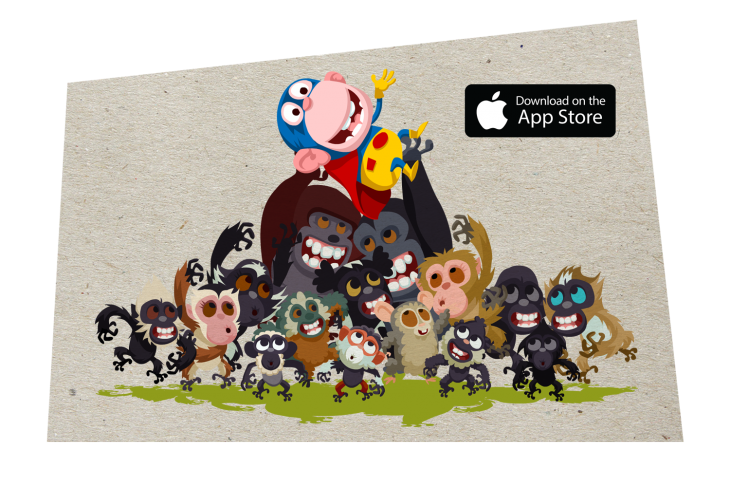 Play the game – Save monkeys! award winning team at Jolly Wise, as he rescues some of the world’s most endangered monkeys. For every sale from the app store, 50% of the profits will go to Wild Futures. Two million years ago, Symas the Monkey visited Earth in search of a safe, lush & fertile land for his monkey brothers and sisters to roam free and thrive. Present Day… Our hero returns to find his brethren on the verge of extinction, their habitats ruined by meddling humans. Our hero must now track down his monkey relatives and rescue them by conquering devious puzzles. Search Symas the Monkey and download the app from the app store today and start saving those monkeys!